"Our Aim is to Be Worthy of Your Trust." 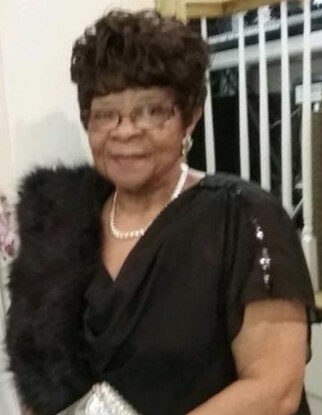 Mrs. Carrie M. McKoy, 85, of 76 Old School Lane, Lillington, passed away March 25, 2019. Survivors: husband - Joseph E. McKoy of the home; children - Shirley McKoy of Fuquay-Varina, Vickie McKoy of Linden, Pinda McKoy of Washington, DC, Jacqueline Dar (Usman) of Bowie, MD and Aaron Copeland of the home; seven grandchildren and five great grandchildren; sisters - Rosa Lee McKoy of Hillside, NJ, Minister Beverly Hodges of Lillington, Mary Bass and Janice Walker (Charles) of Bunnlevel, Sandra Ray (Otis) of Charlotte; brothers - Ronald McEachin of Dillon, SC, Donald McEachin (Diane) of Broadway and Gerald McEachin (Alberta) of Lillington. The visitation will be held on Friday, March 29, 2019 at Lillington Star F.W.B. Church, 183 Bailey Way Road, Lillington from 6:00 pm - 8:00 pm. The funeral service will be conducted on Saturday, March 30, 2019 at 2:00 PM at the Cape Fear Conference A Headquarters, 25 Beaver Road, Erwin. The burial will be in Lillington Star F.W.B. Church Cemetery, Lillington.